Quebec Finance Minister Eric Girard yesterday tabled the CAQ’s first-ever budget, which included an extension of the province’s Drive Green program. 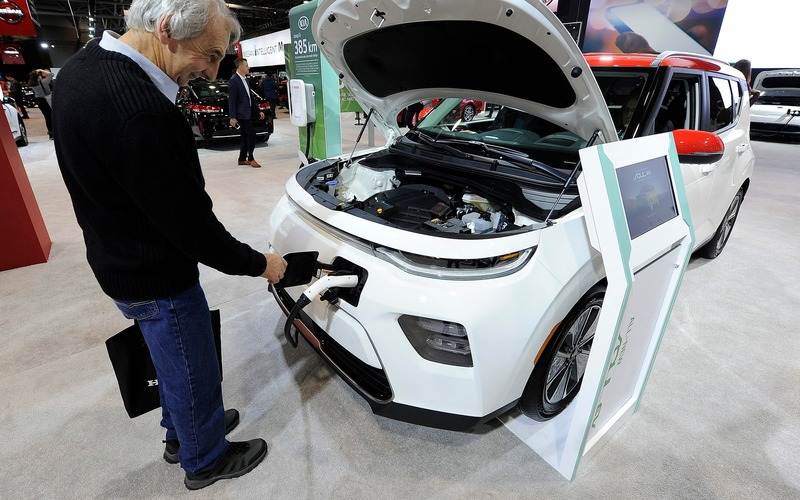 Customers who purchase a fully electric vehicle with a Manufacturer’s Suggested Retail Price (MSRP) of under $75,000 will once again receive a rebate of up to $8,000 from the Quebec government. Starting in 2020-2021, however, the maximum MSRP for eligible EVs will drop to $60,000. At the same time, zero-emission models priced between $75,000 and $125,000 will lose the $3,000 rebate that’s currently offered. The announcement, which represents an investment of $433.8 million, will hopefully add 66,000 new electric cars on the road, 27,500 charging stations at home and another 1,200 in workplaces, Girard said. The 2019 Quebec Budget also has a provision for used electric vehicles. Following the success of the pilot program, these models will again be eligible for a rebate, although from 2020-2021, said rebate will only apply to those that retail for less than $60,000. This came just two days after the federal government of Justin Trudeau announced its own incentive for EV buyers. Thanks to Ottawa, people who buy a battery-electric or hydrogen-powered vehicle under $45,000 will receive a $5,000 break. Whenever the measure comes into effect (the date has yet to be confirmed), customers in Quebec will benefit from a combined rebate of up to $13,000 towards the purchase of an electric vehicle. Meanwhile, Ontario axed its generous EV rebate program several months ago.